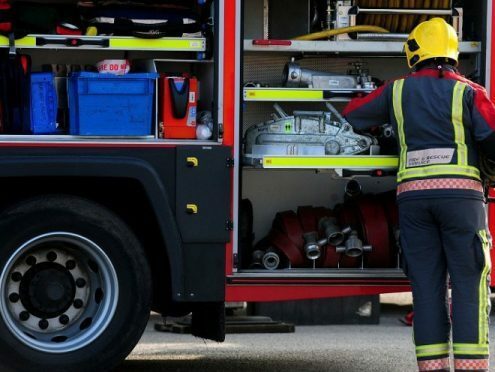 Firefighters are in attendance at an Aberdeen primary school after a pile of clothes was set alight outside it. Crews from the city’s central station and Altens raced to St Jospeh’s Primary School, on Queens Road, at 7.30pm. They were alerted to smoke coming from the rear of the Roman Catholic school, where a pile of clothing was found alight. A spokeswoman for the fire service said: “There was a quantity of clothing on fire at the rear of the school, which was on fire.